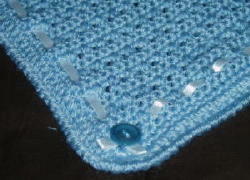 Well, I have a new favorite pattern for baby-ghans. 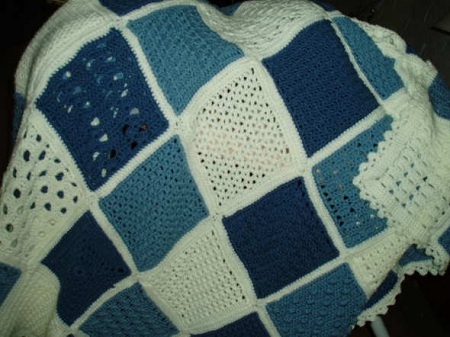 because it makes a very soft afghan. the reverse single crochet stitch. and just couldn't get the hang of it. but I love the edge. This one is also done with Bernat Softee Baby. The color is Baby Denim Marl. It's actually a white and blue mix. 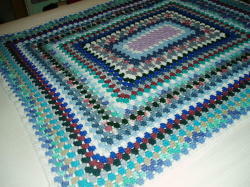 I originally started this rectangle granny-ghan to use up left-over yarn. 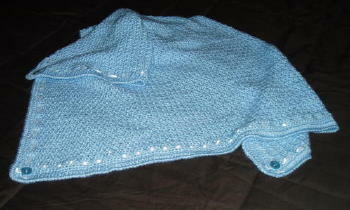 After a while, it took on its own personality and I ended up buying several skeins of new yarn. 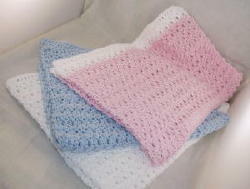 I used the Charity Blanket pattern at hugg'ems collectibles. 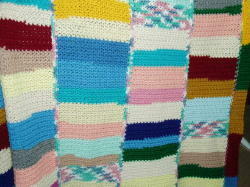 These three blankets were done for charity. 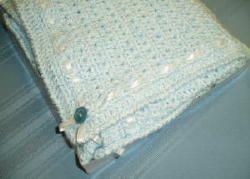 They had a specific pattern to use and requested cotton yarn.